Our next reunion will be in Seattle, WA. 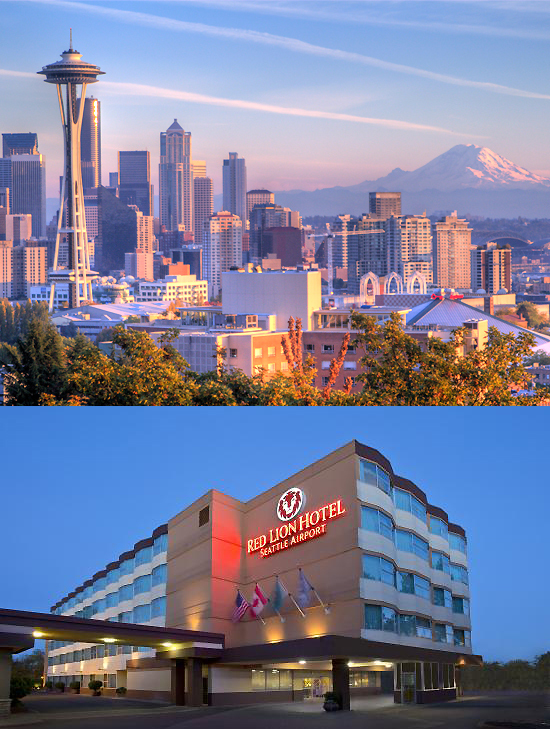 Oct. 16-20, 2019 at the Red Lion Hotel across the street from SEATAC Airport. We have blocked 30 rooms for USS Davidson. Our reunion host this year is Jim Gibbard who lives in the area. We are working on the reunion agenda including optional tours in the Seattle area. The purpose of this notice is to provide you information about the hotel. On site is Gregory's Bar & Grill and Whidbey Gourmet Coffee Shop and breakfast dining area. Within a few minutes walking is 13 Coins, Sharps Roasthouse and others. This will be Davidson's 17th Reunion and our first in the Northwest! Room Rate: $121 per room or $138.00 after all taxes. Includes breakfast for 2, Free Parking and Wi-Fi **Rate is for one King or two queen beds. Make Reservations: 206-246-5535 by 9/16/2019 ask for reservations and identify yourself as members of USS Davidson Group. Cancellations can be made up to 24 hours before check in date. You can book before and after the reunion dates if you plan to stay longer.